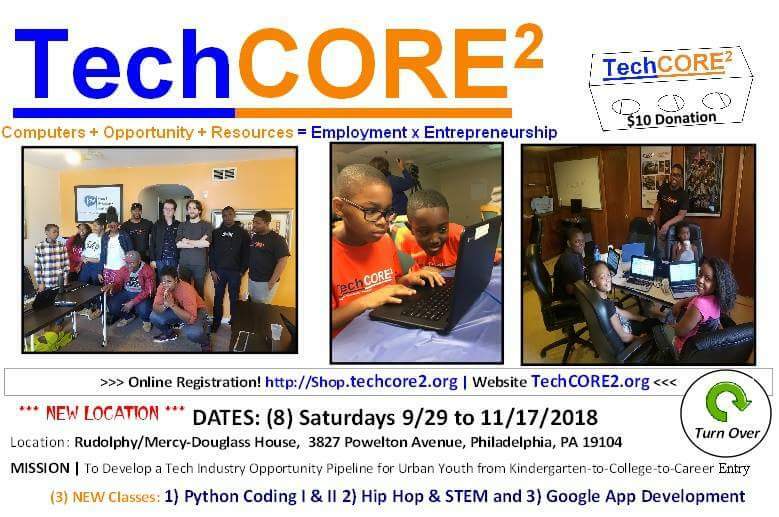 PHILADELPHIA, PA, July 31st, 2018 – TechCORE2 (TC2) is excited to announce a scholarship for young men going to a Public or Charter school in Philadelphia. 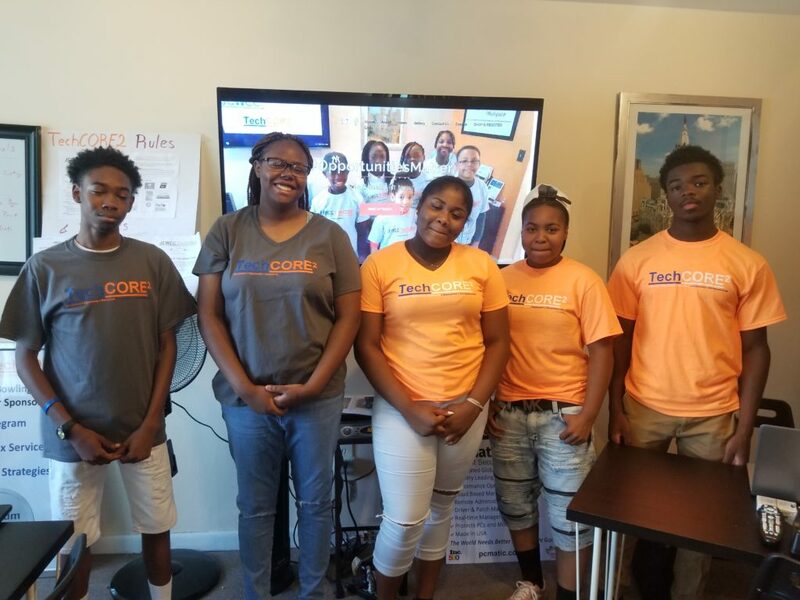 With the help of EMSCO Scientific Enterprises, four (4) scholarships will be given to young men who participate in one of the TechCORE2 Fall 2018 programs (Program Registration @ Shop.techcore2.org/store). Must submit a 1 page Essay and PowerPoint or Google Slide Presentation on “Why I Want to Pursue a STEM Career.” Please indicate if you will be able to attend all 8 Saturday classes and your travel plans? The *new* deadline to apply is September 10, 2018. Please send all submissions and questions to EMSCOscholarship@techcore2.org. Also, please indicate which class you will be attending in the submission. TechCORE2 is proud to celebrate its new 501(c)3 Nonprofit Corporation designation highlighting S.T.E.A.M. Programs / Internships / Scholarships. 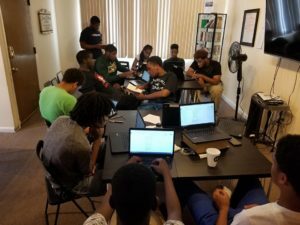 Since 2015, TC2 has operated as a nonprofit program providing extensive paid summer internship programs, spring & fall 8-week Saturday classes, as well as conducted STEM workshops and lessons in the Philadelphia area. Our mission is to develop a technology pipeline program for urban youth from Kindergarten-to-College-to-career entry. TC2 currently has (6) PAID College Intern Instructors who manage and teach our (12) PAID High School Internship program plus four (4) additional youth programs totaling over 100 youth around the Philadelphia area.